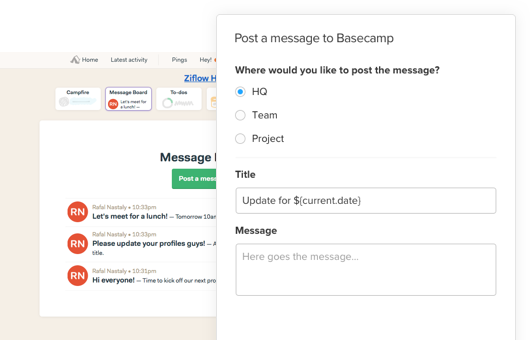 By combining Basecamp, your cloud storage and Ziflow, you get the power to improve team productivity by automating many of the manual, time consuming tasks you and your team execute and track every day, with our Basecamp integration. 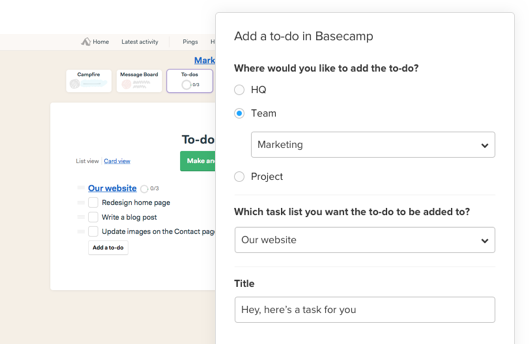 Now, you can use a wide range of Ziflow triggers in your files and folders to automatically update project statuses, send messages to team members, and even assign to-do's across your team. Picture this; you're working on a new design and you want it reviewed ASAP by the team. 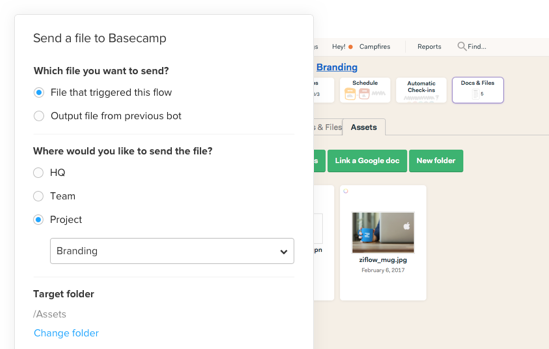 By simply dropping that file into a Ziflow-enabled cloud storage folder, you can automagically create a Basecamp to-do for team members to review it, keeping timelines in check. Keep everyone on the team on the same page by making sure they're looking at the most recent versions of files. 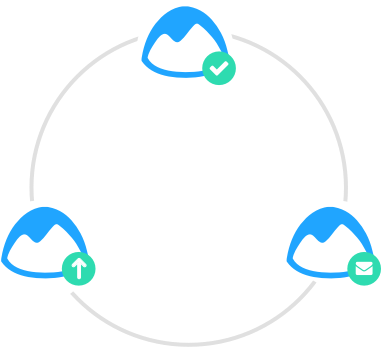 Ziflow can automate the routing of WIP or completed files, synching them to Basecamp projects so you don't have to. Let Ziflow help keep you organized. As part of your project workflow you can set Ziflow to post status updates when a particular task or process has been completed, like converting images, or renaming files. You'll never have to stop what you're doing to email the team again. You're welcome!